A collection of more than 50 exquisitely crafted radio essays, these short but poetic gems celebrate unique aspects of life on Cape Cod, especially the relationship between humanity and the natural world. Entranced by the island’s riches, Robert Finch takes the reader on a journey through the seasons in many well-known and beloved essays—including "Beach Ball," "Sea Dawn," "A Gratuity," "The Fish That Wouldn’t Die," "The Old Shell Game," and "Fire and Music"—that have the power to immediately connect the reader with the natural world of this region and that speak to the mysterious qualities of this peninsula that have drawn people to it for centuries. Widely regarded as one of America's leading nature writers, Robert Finch has lived on Cape Cod, Massachusetts, since 1971. He has published seven books of essays and is co-editor of The Norton Book of Nature Writing. 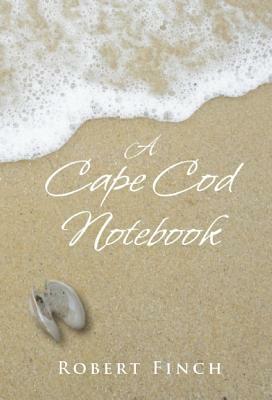 His most recent book is A Cape Cod Notebook 2, a second collection of his weekly public radio radio commentaries that have been broadcast since 2005 on WCAI, the Woods Hole NPR affiliate of WGBH, and for which he received the prestigious Edward R. Murrow Award for Radio Writing in 2005 and 2013. His essays have appeared in numerous magazines and journals and his books have been translated into Japanese and Chinese. For his body of work he was named as one of the New England Literary Lights for 1999 by the Associates of the Boston Public Library. In 2001 he received the Non-Fiction Award from the New England Booksellers Association.